Come join us, here at Gunfighter Tactical, February 17 at 7:00 p.m., for this months monthly meeting with San Diego County Gun Owners. We will be discussing ways you can get involved and help fight the good fight when it comes to California’s unconstitutional firearm legislation. The SDCGO is a great organization to start here, locally, where it counts. When you’re ready to change the way California sees firearm owners this is a great place to start. Come find out how you can join the fight! 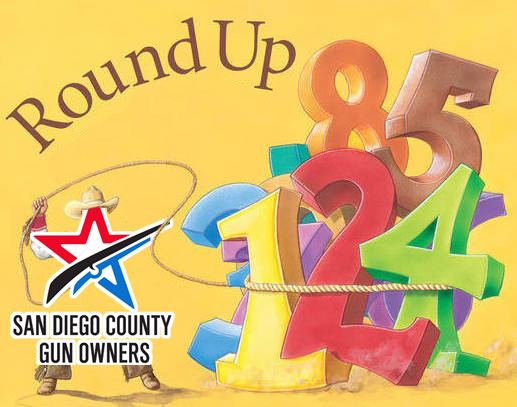 San Diego County Gun Owners Round Up! And in doing our part to help we are launching our “SDCGO Round Up” Program. Starting February 1st you can help support by rounding up your total here when you make any purchase. For example if your ammo adds up to $27.73 with tax you can say “Round it up to $30!” And we will round your total purchase to $30 even. This might not sound like a lot but if every customer pays in $2.27 we can really help support a great organization that in turn helps you! We look forward to seeing you at February’s meeting and your local support! CA new AW ban in 2017. Can I only own an AW rifle, not shoot it? I’ve been hearing that you can’t even shoot a registered AW in CA after the law passes in 2017. After this CA ban on Assault rifles, will I be able to legally shoot a registered AR type rifle in CA, purchased before the new laws take place in 2017? If I have an AR 15 purchased in 1994 that was registered as an AW that was ‘grandfathered’ and no bullet button is required, can I even shoot it after this stupid law takes effect?? Do I still need to make it featureless to shoot it or can I keep my 20+ year old AR as is? I’m getting different ideas on the subject. Thank you for any help. I appreciate it.